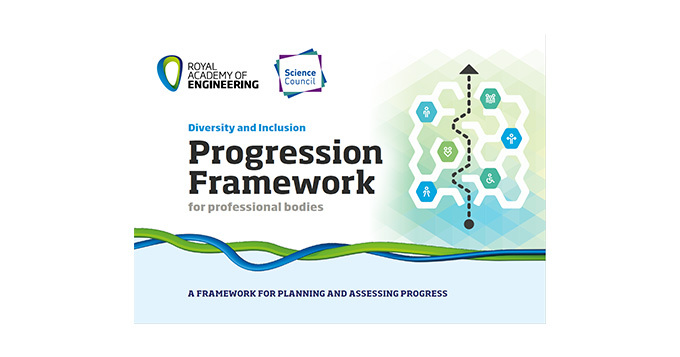 Following our launch of the Diversity and Inclusion Progression Framework with the Royal Academy of Engineering last December, today saw the first step in the process of improving equality, diversity and inclusion practices across STEM careers through the respective professional bodies in STEM. Science Council members and professional engineering institutions met at a workshop to kick-start a collective exercise to develop a benchmark on diversity and inclusion across professional bodies. Members were provided with an opportunity to develop in-depth understanding of the Diversity and Inclusion Progression Framework and develop confidence in using the framework to assess their current activity. Attendees heard from the experience of those using the framework including Pearl Mensah, Head of Membership at the Royal Aeronautical Society and Bola Fatimilehin, Manager of Diversity at the Royal Academy of Engineering about their experiences of completing the framework and the difference it made to how they approach diversity within their organisation and membership. If you would like to find out more about the Diversity and Inclusion Progression Framework, get in touch.